Constructed of all-natural hemp, the TH9 women's hat from Tilley Endurables is both elegant and hard-working, with 50+ UPF sun protection. The hat features a down-sloping brim for a fashionable and protective silhouette. Easy to dress up or down, the hat offers a linen-like feel that belies its 'tough as nails' durability. The 100 percent hemp hat is breathable and naturally resistant to UV light, mold, mildew, and salt water--making this a great choice for boating. 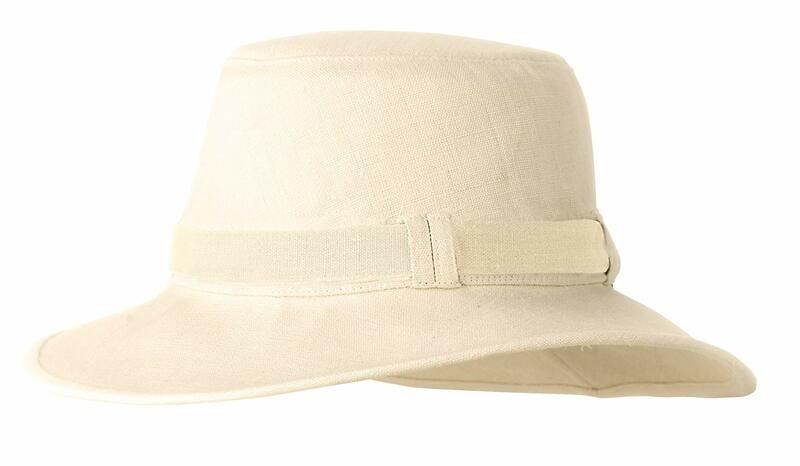 The easy to care for hat can be hand or machine washed on a gentle cycle, then reshaped and air dried. Shipping: All orders ship on the next business day. TradePort uses the most cost and time-efficient method for each item shipped on an individual basis. Expedited shipping available in certain instances – please contact the seller for more info..
Returns: All TradePort purchases are covered by a thirty-day return policy. Free returns are available in cases where an is not as described – all other returns require the buyer to purchase their own return label. Warranty: TradePort does NOT advertise or make any guarantees regarding manufacturer warranty status. It is Warranty terms and conditions may vary by product or manufacturer. Warranty work will be performed solely at the manufacturer's discretion. For additional warranty coverage beyond TradePort's 30-day limited warranty and/or manufacturer warranty, SquareTrade offers 2-5 year Service Plan coverage for NEW electronics and 1-2 year Service Plan coverage for REFURBISHED and USED electronics.